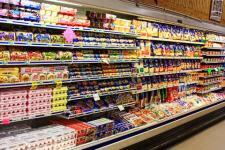 Our Dairy Department features international goods as well as the local favorites. We have over 8 different butters from around the world. Our local dairy, Cream Cup, delivers un-homogenized milk still in the glass container with cream on the top. We have Country Dairy and Prairie Farm's milk. Our 4 foot section of yogurt and kefir has all that you are looking for.